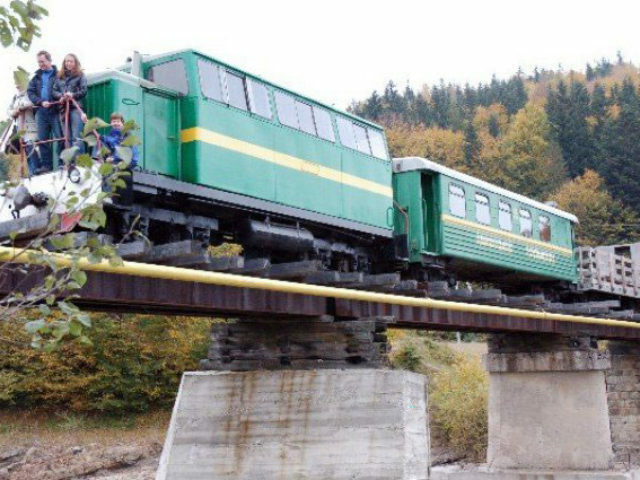 Nowadays, there are three operating narrow railroad (gauge) railways in the Carpathian region: Beskidska, Vigodksa and Osmoloda-Dariv. 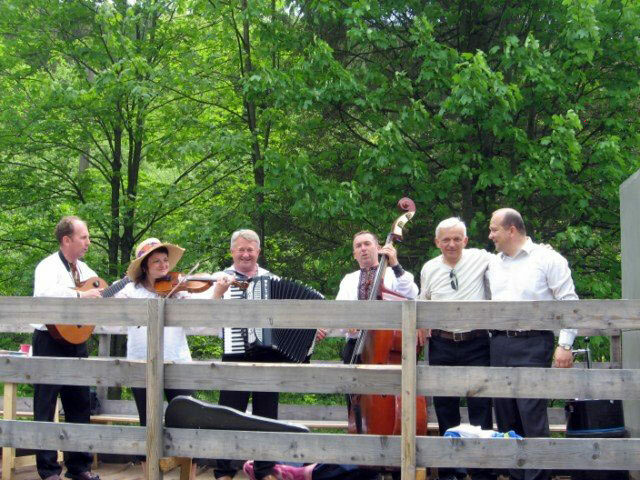 In 2003 in the district of Dolyna that is in the Carpathians began to ride the Carpathian tram. 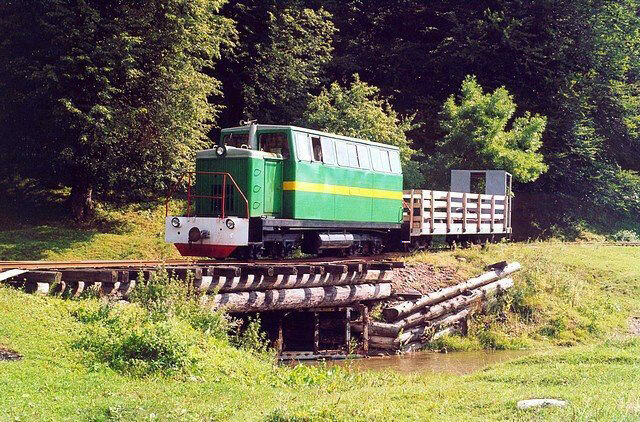 This unique narrow gauge line allows tourists to admire nature of the Carpathian Mountains, the views of the mountain villages, pick mushrooms and berries, drink mineral water, visit interesting places and much more. All this is possible to realize riding by Eco-friendly transport. In the past a lot of narrow gauge lines were laid in the Carpathians. Primarily, they were created just for exportation timber and without passenger areas. The Mizun railway line route which nowadays is used by tourists was launched by an Austrian entrepreneur, Baron Leopold von Popper Podhari. At that time these lands were almost intact and completely outback. In 1873 the Baron moved the headquarters of his company from Hungary to Galicia. His fabric specialized in storing, processing and marketing the timber. Along with Leopold Popper the narrow railroads and the forest industry was actively developed by barons Gredli and earls Potots’ki. 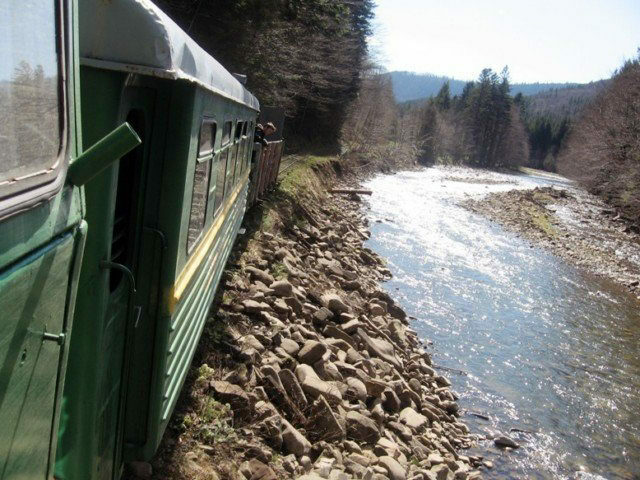 The entrepreneurs have built 3 narrow gauge lines in the Carpathians during 20 years. The World War I made the owners of the Carpathian forests return to Austria. The Popper’s mini-empire in the village of Vygoda came to the “Sylvinia” company from Great Britain. The firm not only continued to build narrow railroads but opened them for the tourists from major European countries. 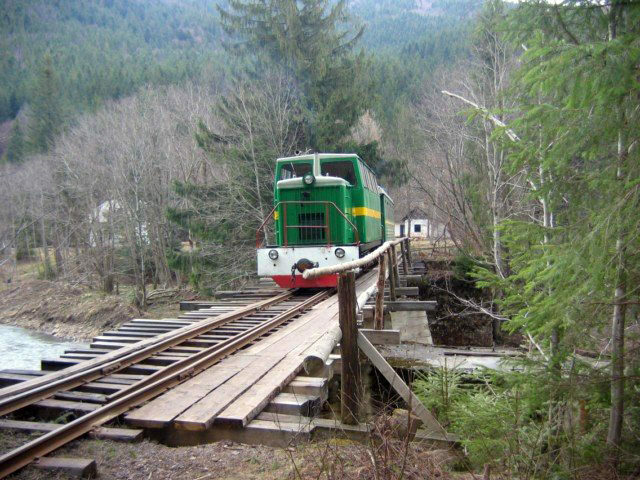 In 1920 in the valley of the Mizunka river the 3rd Carpathian narrow gauge began to work. This scenic road in length of 24 km led to the Sobol station and passed through the 5 major bridges. Until 1939 the Vygodska branch had a length of 65 km and its own tourism infrastructure. At that time the harnessed horses pulled the crews. Only later the horse strength was replaced by locomotives. 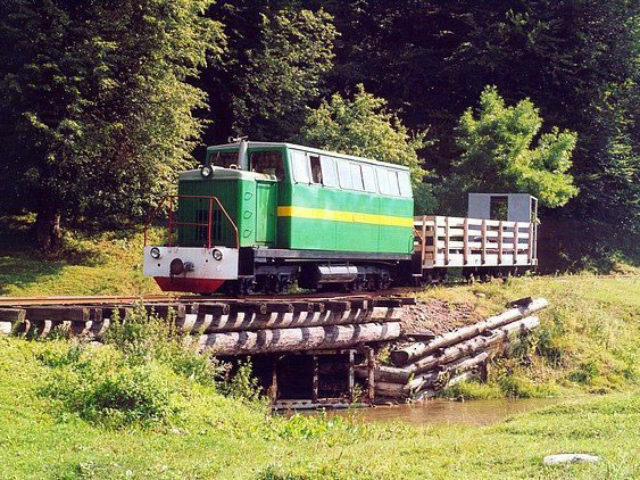 Nowadays the locomotive and two carriages ply the narrow gauge railway from Vygoda to Gorgany twice a week, on Saturday and Sunday. In the meantime the tourists use the railway. Travelers are offered with a comfortable railway car occupied by soft chairs and the car-convertible without walls at windows. A full itinerary of the “Carpathian tram” with stops usually runs for eight hours – from 10:00 to 18:00. The route passes through such cities as: Vygoda, Shyrkovets, Stary Mizun, Novy Mizun, Dubovy Kut, Solotvyno, Myndunok, Sobol and Magura. In Solotvyno tourists can see the places of the first salt deposits. The stop in Myndunok runs about the features of ancient forest exploitation and a review of old buildings. The final stop is for dinner and climbing the Magura mountain (1362 m). On the way back there’s one more stop in Mynduk to visit the ornithological reserve of Dzurkach. At the stop of Novy Mizun the tourist can climb in the meadows near the Lysa mountain (1134 m). 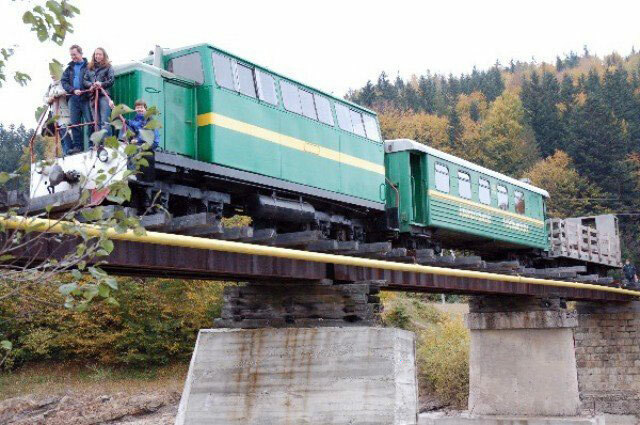 To order the Carpathian tram please contact us. We arrange everything you need: transfer (car, minivan, bus), tram tickets, guide support, meals etc.